Dj Pram - Rang Entertainment . Description: Located near the entrance of the venue, a powerful sound system will project sound towards the baraat and surrounding areas. 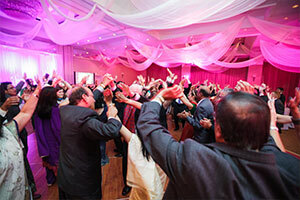 DJ Pram will mix the best Baraat/Jaan related music including Bollywood, Bhangra, and Garba. *break* A Second Sound System will be Located in the wedding ceremony hall to make sure you get continuous music from the baraat procession to the wedding ceremony. Description: Are you riding in to your event on an elephant or horse and want the music to go with you? No Worries! *break*The Baraat will follow our Baraat Van equipped with enough power to run a full DJ Sound System.We will mix the best Baraat/Jaan related music and MC from Inside our Van while the baraat dances and follows our beat. *break*We will also shoot confetti on to the Baraat to make it unique, festive, and exciting for you and your guests. This Service is exclusively offered by DJ Pram and Rang Entertainment. 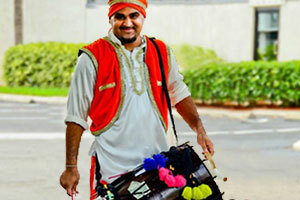 Description: Rang Entertainment provides experienced Dhol Players and Bhangra Dancers for the Baraat. *break*All performers come dressed in traditional Indian attire. We can Combine the Dhol Player with our Mobile Baraat upon request. 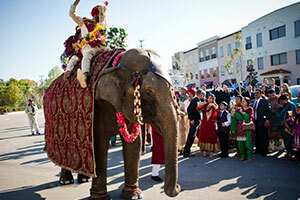 Description: Dazzle your guests with a live Elephant for the Groom to ride in on for the Baraat. *break*This is a once-in-life-time event so lets make it the one everyone remembers. Make your wedding different and unique by hiring our elephant for the baraat You will never forget this experience. Description: DJ Pram provides a very unique wedding ceremony experience. 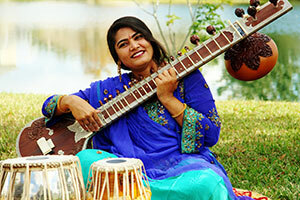 We have played at hundreds of weddings form traditional Hindu ceremonies to modern fusion weddings. *break*With our experience and knowledge of music we are able to coordinate music for different parts of the ceremony (i.e Gujarati Lagna Geet) for each ceremony. We create the wedding ambiance by playing our melodic shehnai, tabla and sitar music in the background. Description: Create the perfect ambiance with a live instrumentalist from Rang Entertainment. We offer pianist, harpist, violinist, string quartet, Jazz bands, steel drum bands, and traditional Sitar and Tabla Players. 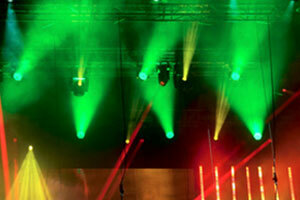 Our artists will provide a visual and melodic grandeur to your event. We also provide live instrumentalists to enhance your wedding ceremony or formal dinner party. 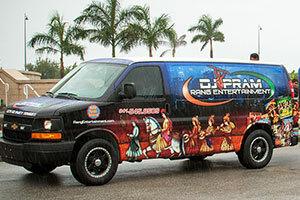 Description: DJ Pram and Rang Entertainment can make your dream wedding reception a reality. 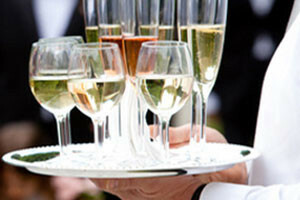 We offer a wide range of services to customize and enhance your special event. Our Wedding reception package includes an energetic team which comprises of a DJ, MC and Dancer Motivators. *break*The MC/DJ will host and coordinate your event starting from grand introductions to the last dance, while managing the energy level of your reception. *break*We pride ourselves in having the most talented DJs and dance motivators in the wedding industry. Our DJs will mix all your favorite hits with a customized play list made especially for your event! We provide high end audio, visual and lighting equipment for venues of any size. Description: Rang Entertainment also offers high-tech lighting options that puts us on the cuttingedge of our industry. 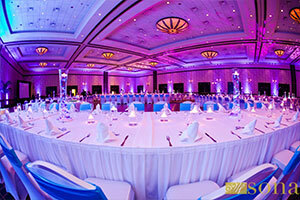 *break*LED lighting is a popular choice and is the latest trend for weddings and parties. We have the ability to create unlimited colormixing to match your event decor. Description: Rang Entertainment offers Intelligent Lighting for the dance floor. These lights can produce unique and dramatic effects. Intelligent Lights make a great addition to your decor for weddings, birthday parties, and other events. *break*We can compose beautiful displays of lights accenting the architectural features of venues as well as elegant illumination of dance floors. 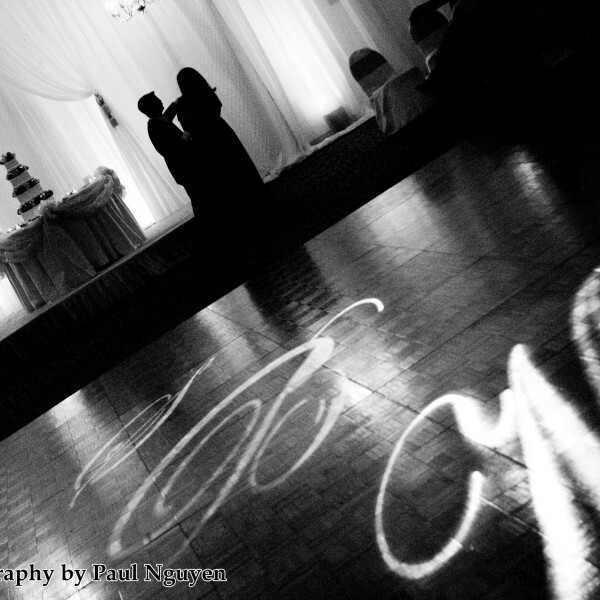 Description: A custom monogram is the perfect finishing touch to an elegant wedding or sweet sixteen. 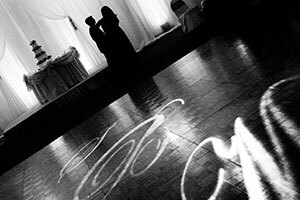 *break*Rang Entertainment can design any logo or monogram to be projected on the dance floor, wall or above your sweet heart table. We can customize patterns to creat a unique, elegant and lasting impression on your guests. Description: A compact sound system is used in the cocktail area, speakers are placed in different areas to insure proper sound distribution. *break*Our staff will arrange a customized play list for the cocktail hour, insuring non-stop music for your guests to enjoy while they mingle and socialize. Choose from Jazz, Classical, Indian instrumental, Fusion Instrumental, or a play list of your favorite songs! Description: Rang Entertainment offers Projection Screens for all events. *break*We have several different types of projection screens,Which includes rear projection screens, ranging from 6-feet to 15-feet diagonally. *break*Our 3,500 lumen projectors produce the best picture quality providing bright, crystal clear, high definition images for your presentation. 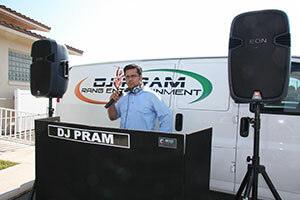 Description: DJ Pram has changed the standards of South Asian weddings and entertainment. 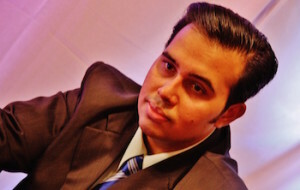 His goal is to provide each clients with the most talented and professional entertainers. *break*DJ Pram has over 16 years of experience. He has performed at weddings and events at many upscale international venues,As well as all across North America. *break*Our mission is simple... to make sure that all of your guests are having fun and on the dance floor. We make it our goal to keep your guests talking about your event for many years to follow. Description: DJ Priya has 16 years of experience. She is know for her dance motivation and choreography for stage performances. *break*She has choreographed for wedding dances helping brides and grooms have a memorable first dance. 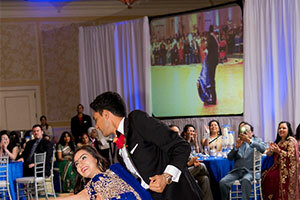 Priya has also helped family members and friends of the bride and groom make a lasting impression on the dance floor. 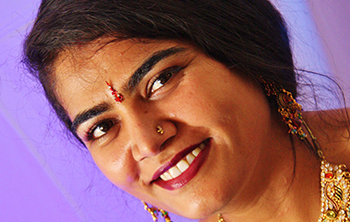 *break*Priya has performanced at venues all across North America, the United Kingdom, India and Puerto Rico. Testimony: DJ Pram & Priya was amazing to work with as they our wedding weekend , Starting from Sangeet night, Baraat,Wedding Ceremony and Reception, Perfect mix of songs for Sangeet and the Baraat was amazing We have been to a lot of weddings and never seen baraat like ours,Wedding ceremony coordination with the pundit was perfect and Reception You guys got everyone pumped and played the best mix of music Bollywood ,Punjabi and american ,You guys are truly Professionals. Totally Recommend!! Testimony: Our wedding weekend was here in Tampa and we had the pleasure of having DJ Pram as our DJ for the wedding ,DJ Pram took care of all our events starting with Garba Night ,Baraat ,Ceremony and Reception , You guys did a great job at all our events ,You will do all our events and will Recommend to all our friends, Thank You. Testimony: DJ Pram was Fantastic He exceed all our expectation from Baraat to the end of reception and Priya you have a great voice Amazing MC skills You guys make the best team our Dance floor was packed the whole night and till the very end. All of our guest stayed to dance, We highly recommend! Thank You guys so much for helping make our special day a BLAST!!! Testimony: Thank you so much!! You and Priya were so helpful and amazing during all functions. We couldn't have done it without you, And did you see the packed dance floor? It was amazing, Thank You for making our special day come to life. DJ Pram & Priya offer more than 16 years of experience providing talented, energetic DJ’s, MC’s, Singers, Musicians, Dancers, Sound, Event Lighting, Audio and Visual equipment to clients around the world. DJ Pram & Priya have performed at International Venues such as Umaid Bhawan Palace, Jodhpur – Fateh Prakash Palace Udaipur and Taj Hari Mahal Rajasthan (INDIA). Our DJ’s Have also performed at United Kingdom Venues such as – Hever Castle UK and EL CONQUISTADOR RESORT in Fajardo Puerto Rico as well as hundreds of elegant venues all across North America. Rang Entertainment – DJ Pram & Priya are the most recommended DJ Company to some of the most elegant venues across North America, United Kingdom, Canada, and India. After meeting with you, visiting your venue and understanding your exact needs, our experienced staff creates an itinerary and soundtrack for your special occasion. Whether you choose themes, games, line-dancing, comedy or pure elegance, Rang Entertainment will help you organize and create that unique party experience. From announcing the grand introductions to performing in a bouquet/garter toss to just keeping the dance floor packed, Rang Entertainment’s D.J.’s & M.C.’s. providing high standards of professionalism, elegance, and fun at social events and black tie affairs . Copyright © Rang Entertainment. All rights reserved.